"I have known Michael for over twenty years. He has one of the smartest business minds I know. When he gives me advice, I pay attention, and you should, too. 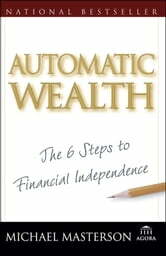 Automatic Wealth is full of wisdom and insight filtered by a master and brought to you in a well-written and delightful style." "I am not usually a fan of this kind of book. One entitled Automatic Wealth made me suspicious. But I am a fan of Michael Masterson, and when I read the book, I was impressed. Masterson manages to go beyond the theory to tell you exactly how real people make real money in the real world. That, I think, is his genius. He's able to open his own eyes and see for himself what actually works. The result is original, clever, and very helpful to anyone who is serious about building wealth." "Michael Masterson has been a great friend of mine for over twenty years. I know for a fact that the strategy he teaches is the exact same strategy he has personally used to amass extraordinary wealth and prosperity for himself. He's reduced a normally daunting process down to six simple and unfailing steps YOU can absolutely use to vastly and rapidly increase your financial situation, often times doubling and redoubling your wealth every few years. 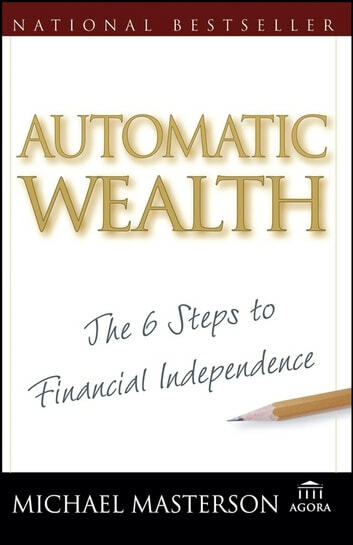 This book will become your financial bible." "Michael Masterson's book is brilliant and concise, packed with breakthrough insights and unique wealth-building tips. Best of all, it's practical because it combines proven investment and financial planning advice with street-smart business and real estate secrets." -Robert Ringer, author of Action!, Looking Out for #1, and To Be or Not to Be Intimidated? You Don't Have To Be Broke: So Wake Up, Shake It Up, And Make A Change!